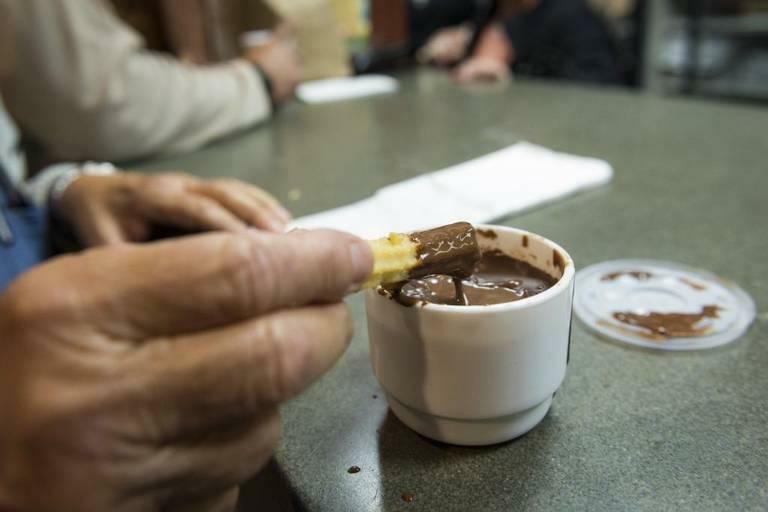 La Palma on SW 8th Street in West Miami is a hot spot for churros and hot chocolate when the weather is cold. It’s officially winter in South Florida. Though it’s mostly still warm outside, we’re graced with the occasional cold front, which calls for some special seasonal traditions. South Florida Roundup host Tom Hudson tells us how listeners mark winter. WLRN asked listeners to tell us how they mark the season. Danny Sanchez is referring to the great iguana rains of this past January. It got so cold that the green iguana, which isn’t native to Florida, got flash-frozen and dropped from trees. Folks line up at spots like La Palma in West Miami for this wintertime snack. Honorable mention: Knaus Berry Farm's gooey cinnamon rolls. Drenched in a delectable glaze, the rolls conjure as much the holidays and winter as any classic Yuletide dish. With hurricane season now far behind us, we look forward to spending more time outside. The days are drier. Brisk mornings beg for leisurely walks and bike rides. And of course, the sea breeze on the beach cools just right. Engagement producer Katie Lepri contributed to this report. You can read more responses here.